This island ranks #8 of the "Best islands in the Caribbean"
Rooms' fares in Martinique hotels start from as low as US$50, while quite decent options can be found for about US$100 per night. Please, keep in mind that, there are no classic beach resorts on the island. However, there are a lot of great apartments and B & B. 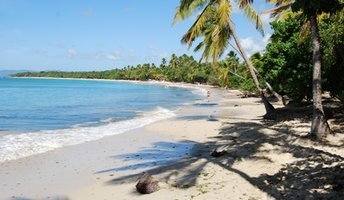 The best time for a beach holiday in Martinique is a dry season from January to June.